The starting point for this excursion was the Hydro Majestic Hotel at Medlow Bath. Earlier arrivals were soon joined by members and guests filtering through the large entrance doors of the hotel. The leader of the expeditionary force, General Desmond Neville was quietly sucking on a coffee and in a completely relaxed mode as the others arrived. (His horse was conspicuously absent!). The tables on the Hydro Majestic verandah stated to fill up as twenty members and guests took up their positions. Apart from the usual Z mobiles there was a mixed variety of vehicles – catering for those seeking “comfort more than speed” – as it was a rather lengthy excursion. All up, there were twelve vehicles noted. After an appropriate amount of sustenance and the usual “catch up” discussions it was time to start the journey. Craig (being a native of these parts) took the lead and the convoy headed north along the Great Western Highway. 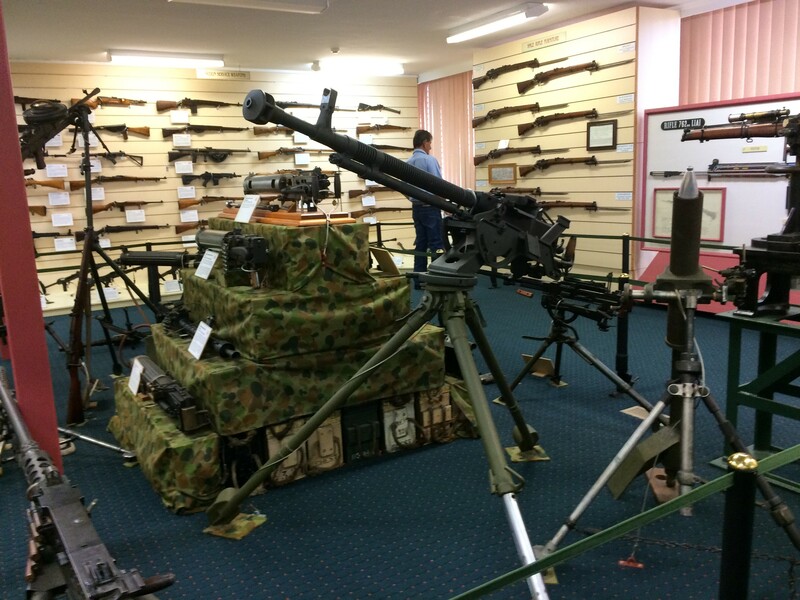 After a journey of approximately half an hour, the convoy turned into Methven Street, Lithgow – home of the Lithgow Small Arms Museum. Having been forewarned of the Z Car invasion (by virtue of pre- booking for 25 people) – there was a museum staff member available to provide an interesting commentary on the Museum and its past and present activities. 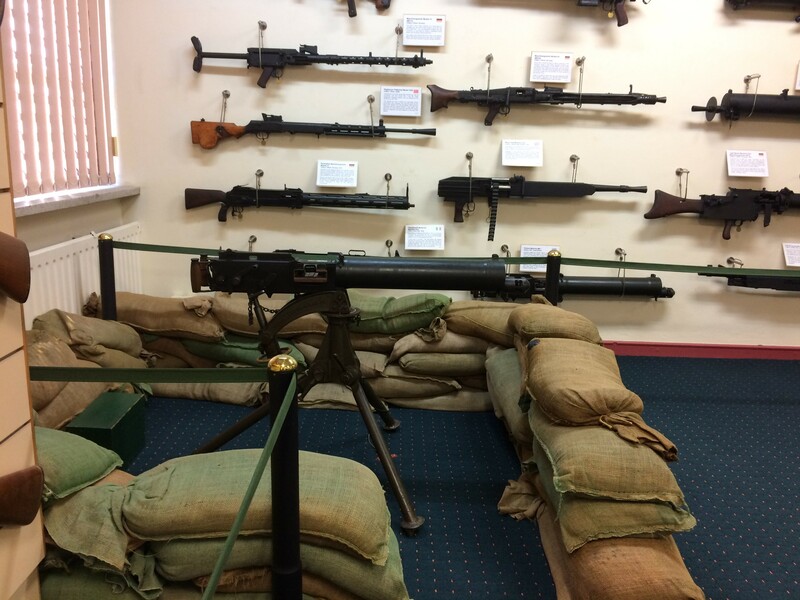 The Lithgow Arms Factory had been responsible for supplying the Australian army with a variety of weapons during the Second World War – including rifles and Bren guns. Its machine shops are still producing a variety of products currently, including the Steyr AUG assault rifle /light machine carbine for our military forces. 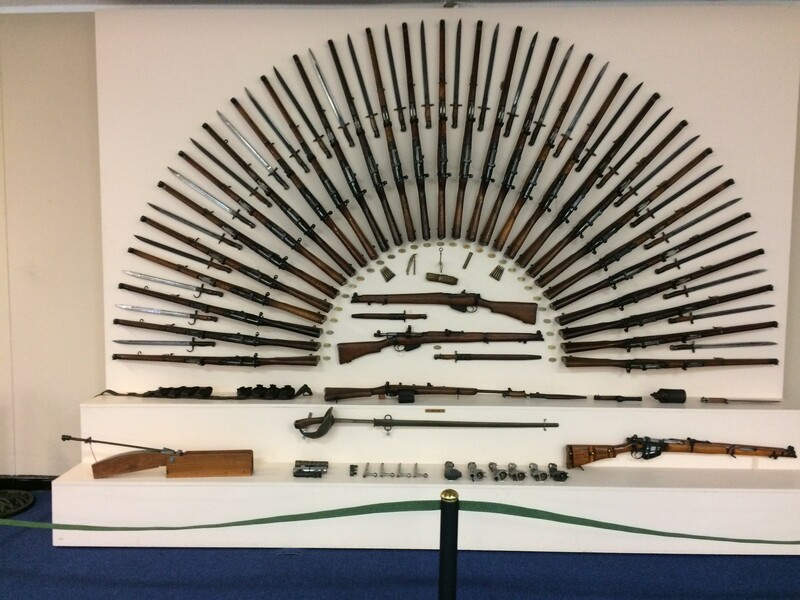 There was an interesting display of weapons on the ground floor of the Museum. This included guns, a display of knives and a particularly vicious looking Sunbeam Mixmaster! The party then gravitated to the first floor where all the “good stuff” was being displayed. 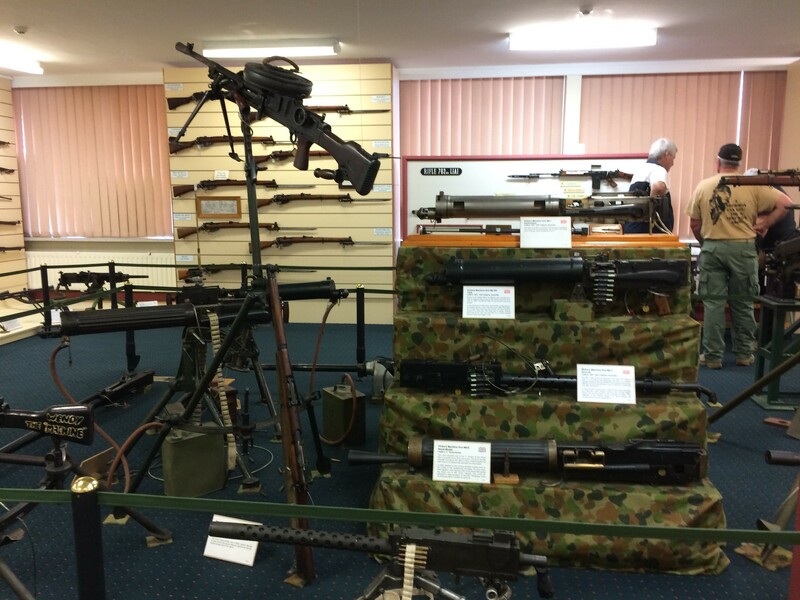 This was a “gun fancier’s heaven”. 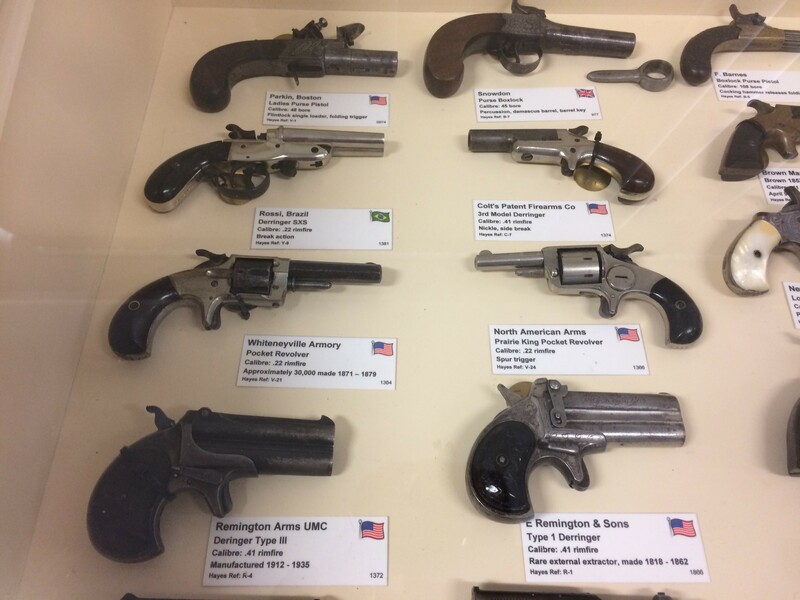 Magnificent handguns of all shapes and sizes – “Dirty Harry type “ 44 magnums, 357 magnums, Lugers , 45’s, dueling pistols, miniature guns etc. , etc. In the middle of the floor was a very large Chinese heavy machine gun, with other machine guns scattered throughout the exhibits. 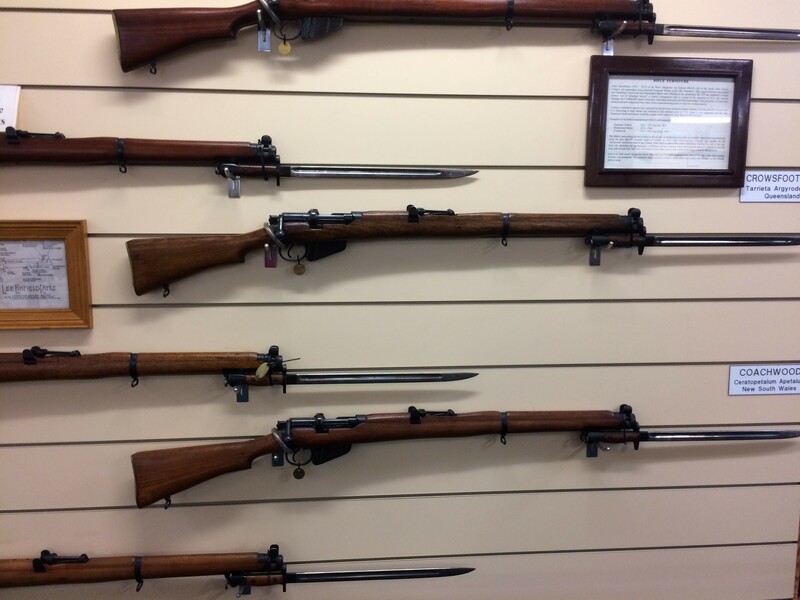 There was an extensive display of rifles of different vintages , and some of the members recognized rifles they had trained with in their youth– such as .303’s (school cadets) and SLRs (military reserve) etc. Some time was spent perusing the fairly numerous exhibits, with mobile phones being actively utilized for photographing the more interesting firearms. It was now time to head off for lunch at the Tarana Hotel at the quaint Tarana Township. Craig took the convoy on a more scenic route than the original planned route. This involved travelling along Diamond Swamp Rd and then onto Sodwalls Rd and ultimately Mutton Falls Rd, Main Street and the Tarana Hotel. Prior booking allowed for outside undercover dining (appreciated – as the temperature was getting close to 30 degrees C). This was in contrast to our last visit when the temperature was three degrees C! After a pleasant lunch and a variety of discussions, group members gave their farewells and started slipping away to get started on the long journey home. It had proven to be an interesting and enjoyable day overall with a very good attendance of members and guests. Many thanks to Des for the original planning of this excursion. (Des had a few health issues previously so Craig and Ray had provided a little assistance with the excursion).